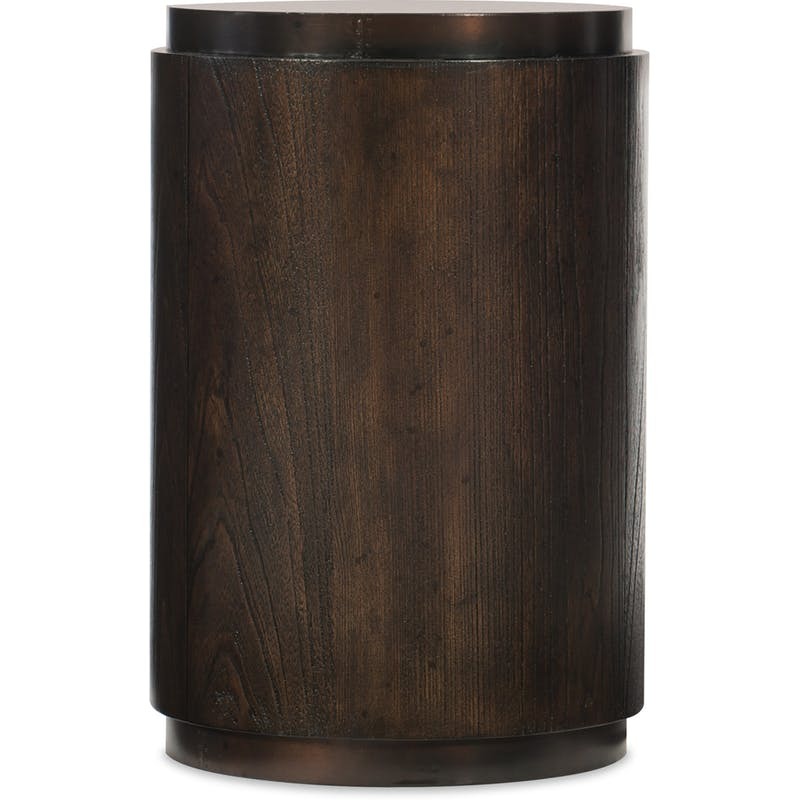 Finish: 1654-DKW2: Much like a bourbon barrel burnished over time, the Crafted collection features a heavily distressed textured dark wood finish that provides authentic, aged character. Distressing includes rasping, chopping, gouging and worm holes. Click here to receive email quote for Crafted Drum Table item.